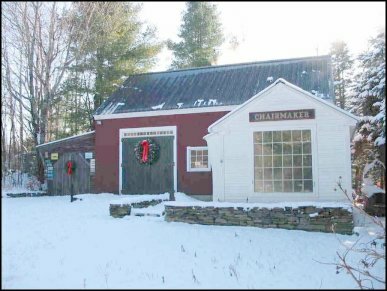 My Windsor Chairs are handcrafted, of course, in Vermont. They are made of several woods: pine, oak, ash, maple, and birch. The process begins in selecting the right tree, splitting, planing and using the proper drying techniques for assembling. 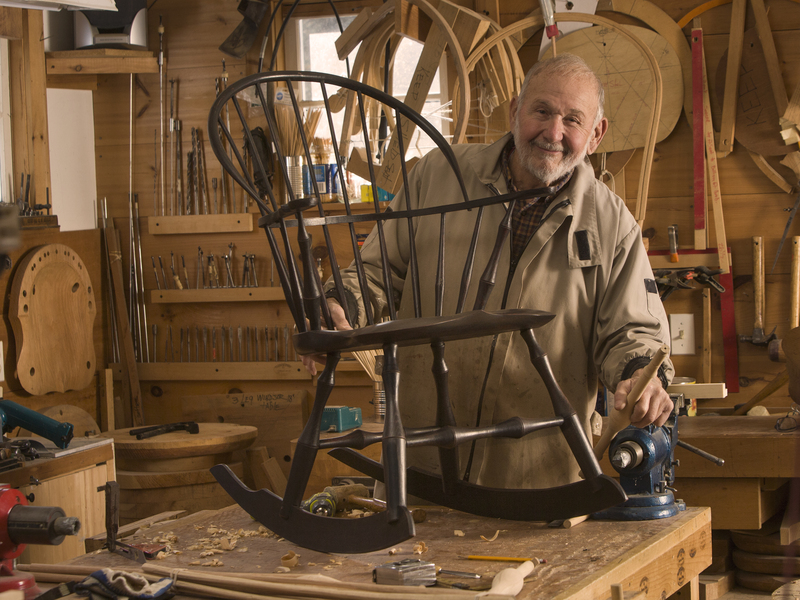 All spindles, bows and arm rests are shaved by hand. The seat is made of one solid piece of pine and carved until the desired shape is achieved. The bow backs and arm rests are steam bent and the legs are all individually turned on a lathe. Hand-rubbed milk paint finish completes the process. 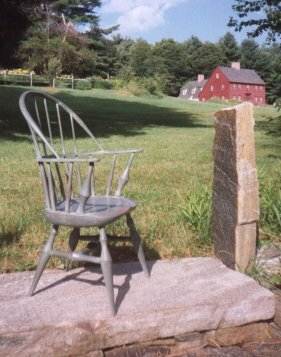 The result is a magnificent chair, delicate in appearance, sturdy in use.